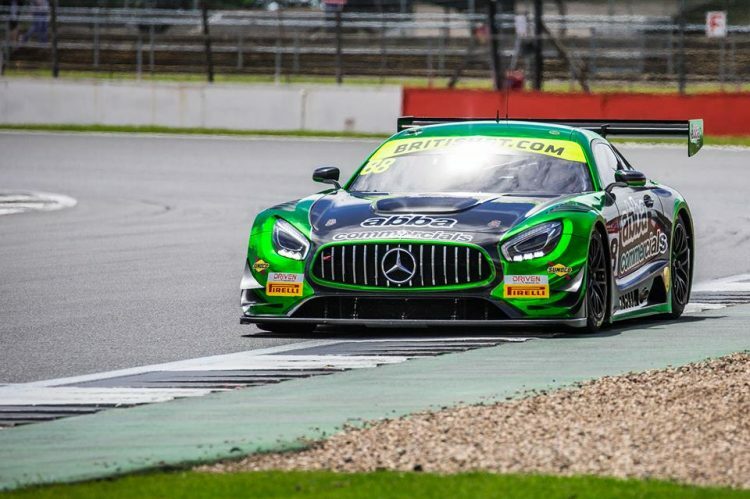 Adam Christodoulou celebrated his 28th birthday with a top-five finish on his return to the British GT Championship in the blue-ribband Silverstone 500. 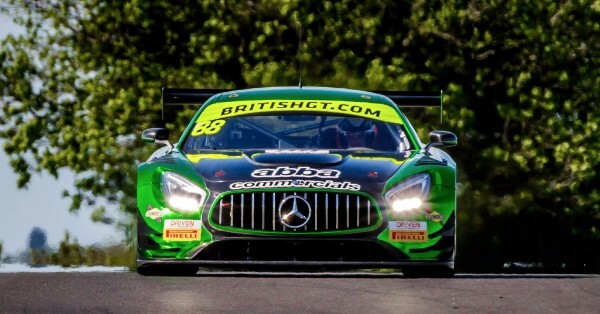 On his first British GT outing in the GT3 class and his first of any kind since Donington 2015, Christodoulou shone in the Team ABBA with Rollcentre Racing Mercedes-AMG GT3 alongside Richard Neary and Martin Short and gave the teamits best finish of the year so far, laying down a positive marker for the rest of the British GT campaign. The AMG driver and former Silverstone instructor put his knowledge of the Grand Prix circuit to good use in free practice one with a blistering lap seven tenths faster than anybody else. Christodoulou then showed it was no fluke in qualifying, with the fastest time in the Pro class – the best of the entire weekend – With a combined time from both drivers qualifying 6th would be their starting position. Neary, the 2016 Silverstone 24 Hour winner, took the start and immediately made up two positions around the outside at Copse corner, but lost ground with a spin at Abbey on lap four. After dropping back to eighth, Christodoulou jumped in for the first of two stints and was soon embroiled in a frantic battle with Callum MacLeod’s Bentley. Battling oversteer in the hot afternoon conditions, Christodoulou defended stoutly and handed over to Short from second position as the pitstops cycled through. Despite receiving a stop-go penalty for a fractionally too-fastpitstop during the final handover from Short, Christodoulou’s pace during his second stint was such that he was able to resume without losing fifth position, a strong result on Martin Short’s final outing in the championship as a driver. While disappointed not to give the highly decorated Short one last podium finish,Christodoulou was greatly encouraged by Team ABBA with Rollcentre’s performance heading into the second half of the season, with a trip to the famous Spa-Francorchamps (7-8 July) in Belgium next on the calendar. 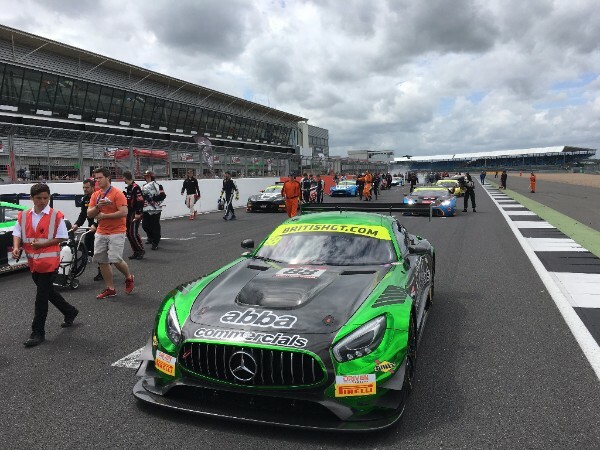 “It was a fun weekend, I really enjoyed being back in the British GT Championship,” reported Christodoulou after setting the second fastest time of the race with 12 laps to go. “There’s obviously an element of mixed emotions, as I was really happy with how the testing and the qualifying went, but the track conditions in the race caught us out a little bit and just lost us a little bit of speed with the car. “That being said, it was the team’s first top-five finish this year, so hopefully it has created a good foundation for us to work on going to Spa. It was great to work with the team and be a part of the British GT Championship in the GT3 class, so hopefully we can continue making progress and get that first podium that we’re searching for. 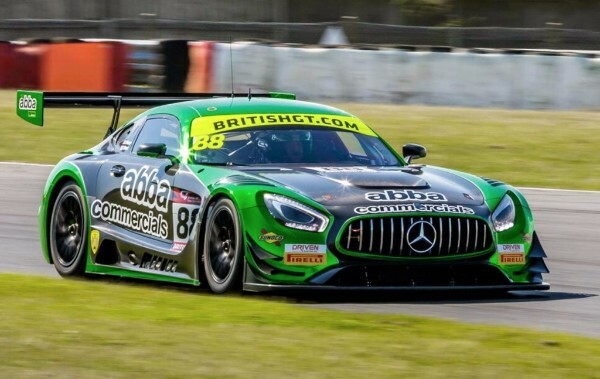 Official AMG Driver Adam Christodoulou will contest the remainder of the 2017 British GT Championship in a Mercedes-AMG GT3 entered by Team ABBA with Rollcentre Racing. 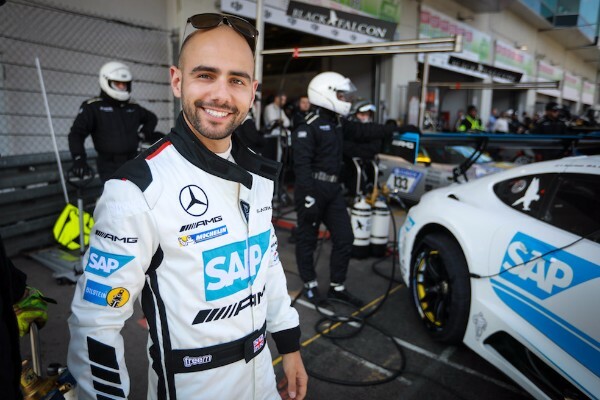 Four years on from his successful British GT debut in his GT4 win at Silverstone in 2013, Christodoulou will make his first appearance in the GT3 class at this weekend’s Silverstone 500, alongside Martin Short and Richard Neary. 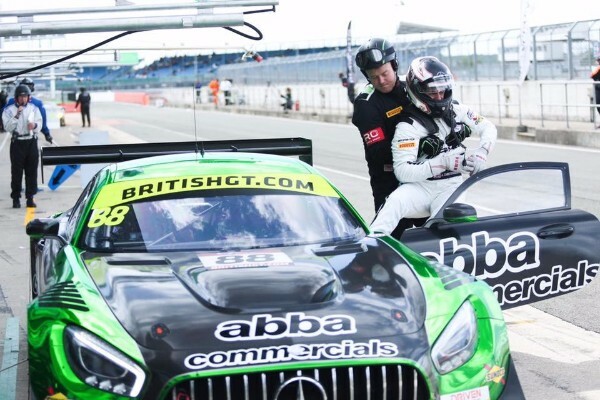 The 27-year-old will continue with the team for the rest of the season alongside Neary, the 2016 Silverstone 24 Hour winner, at prestigious circuits including Spa-Francorchamps, Brands Hatch and Donington Park. It will be Christodoulou’s first time racing regularly on home soil since 2008, when he won the Formula Renault UK 2.0 title with CRS Scuderia. Following a successful test at the Home of British Motorsport, Christodoulou is confident of making a strong impact on his first outing for Team ABBA, with the RAC Trophy awarded for a 500-mile race at Brooklands in 1932 up for grabs. “I’m really excited to be racing a GT3 car in British GT for the first time,” commentedChristodoulou, who last raced in the series in 2015. 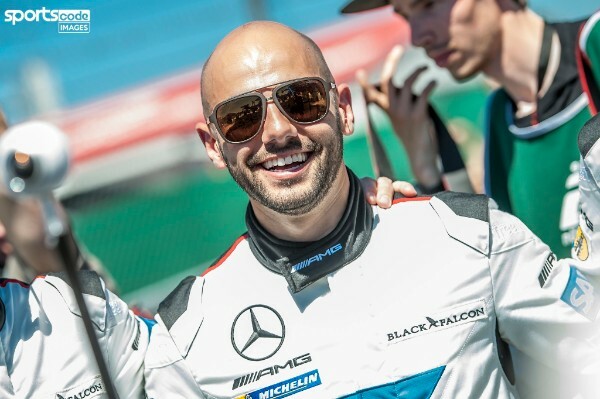 “Unfortunately it wasn’t possible to do Snetterton because I was racing at the Nürburgring 24 Hours, but Silverstone is a track that we all know well, so we just have to make sure that we make no mistakes and use everything to our advantage. 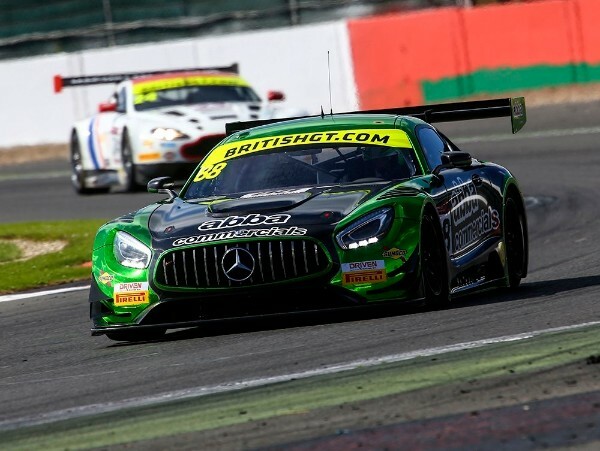 Having run strongly in the top 10 at the recent Blancpain GT Series Endurance Cup round at Silverstone, Christodoulou has full confidence that the Mercedes-AMG GT3 will be well-suited to racing on the British circuits and that the car will allow Neary to extract his full potential. “The British tracks are known for being tighter and more twisty than some of the bigger European tracks that I’ve been racing on these last few years, so we’ll have to see how Silverstone goes and then just continue to work hard,” said Christodoulou. “We’ve done two tests so far and between the test he did at Snetterton and the race, he made a nice jump forward. We managed to work on the setup and get him to have a little bit more confidence, which was good to see. Hopefully that will only continue as we work together more over the remainder of the season.